The “orange store” It’s almost more of a burgundy. A lot of little neighborhood stores here in New Orleans have one official name and then one name that everyone actually calls them. This often refers to the color the owners painted the store. There’s the Red Store, the Grey Store, Mike’s Red Store, The Bridge Store, Hanks. Everyone calls Rampart Food Store “the orange store” but I would just call it “the only place worth getting a shrimp po-boy.” This is a little convenience store (1700 N Rampart) that is practically in the French Quarter that sells shrimp po-boys for $6.99! The shrimp seems to be coated in Japanese panko-style breadcrumbs before they fry it. It is vastly superior to every other fried shrimp po-boy I’ve eaten. Even though it’s a hole in the wall, it was written up in the New York Times for how good the sandwich is. That review was years ago, but the price is still affordable, so they haven’t let success go to their heads. 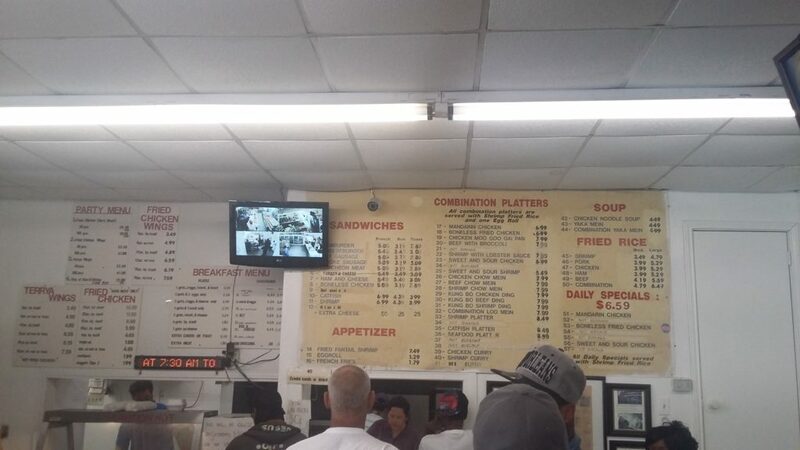 It is really busy around lunch time, so you should call (504-944-7777) your order in. We ended up waiting in line for quite a while, which I just took as proof of the stores popularity. Long line, but worth it. I was warned that nothing is worth getting at the Orange Store apart from their killer shrimp poboys. This is true in that if you get something else and your friend gets the shrimp poboy, you’ll probably wish you had one too. A lot of the other food is worth getting, it’s just that nothing is as delicious as their signature dish. 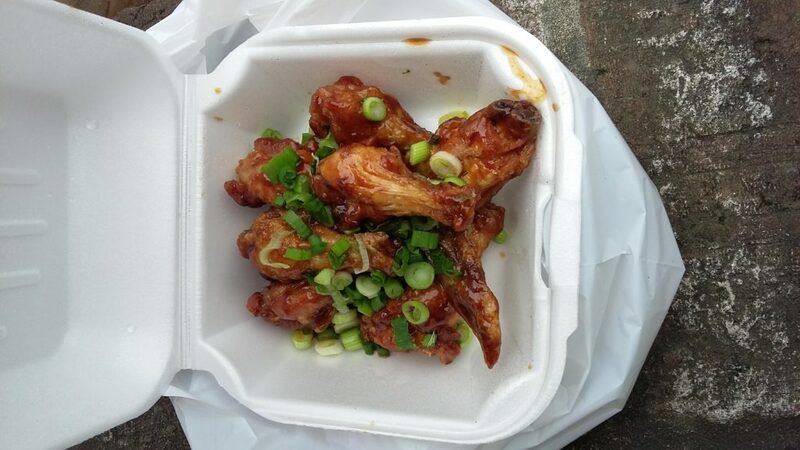 I’d steer clear of most of the Chinese food, but the teriyaki wings (which they call terrya) are super good. They’re definitely on the small side but they give you a lot of them. We got 8 pieces for $3.49 but if you wanted to make a meal of it they have 18 pieces with fries or fried rice for only $7.99, which is what im going to get next time. The teriyaki sauce is salty and sweet without being as sickeningly sugary as most cheap teriyaki dishes, and they load it up with fresh green onions on top. I sometimes think of green onions as more of a garnish but they really added a lot to the flavor. I’d totally recommend this. 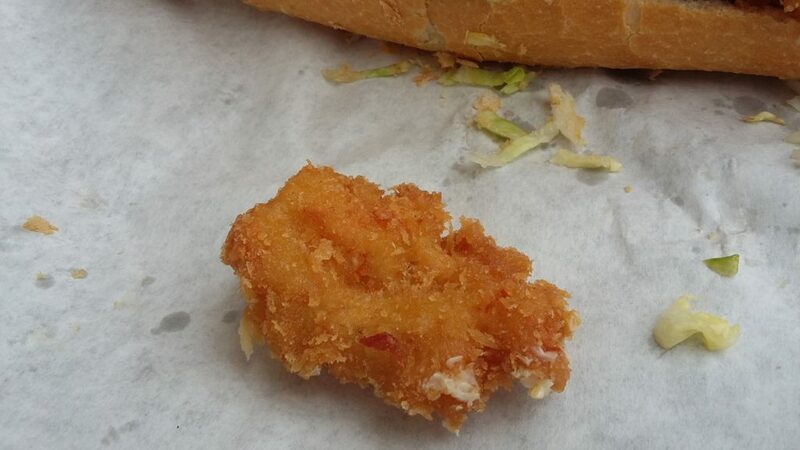 We also got the fried boneless chicken po-boy. Though the meat didn’t seem fancy, it wasn’t gristly at all. It was fried in a way that reminded me of chicken katsu from a Japanese restaurant, though without the tonkatsu sauce. Not your typical New Orleans fried chicken at all, but very filling and flavorful. 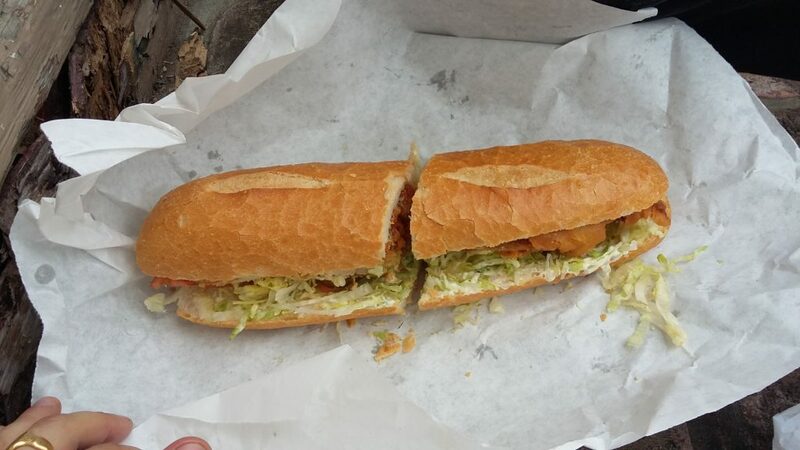 It’s good, but again, nothing beats the shrimp po-boy. 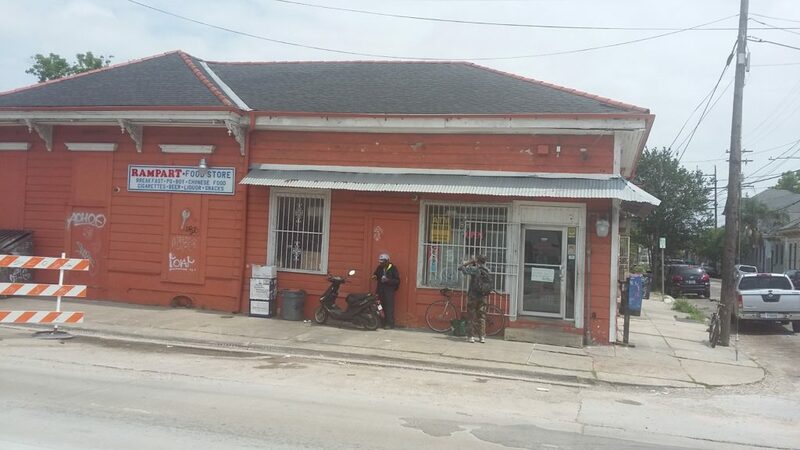 Rampart Food Store is kind of a cheap take-out place technically located in the Marigny but catering mostly to the tastes of people living across St Claude in the Treme, the oldest African American neighborhood in America. It offers an affordable and unique take on New Orleans cuisine. If you are in this city, whether you’re passing through or have lived here your whole life, and haven’t tried it, you’re doing something wrong.